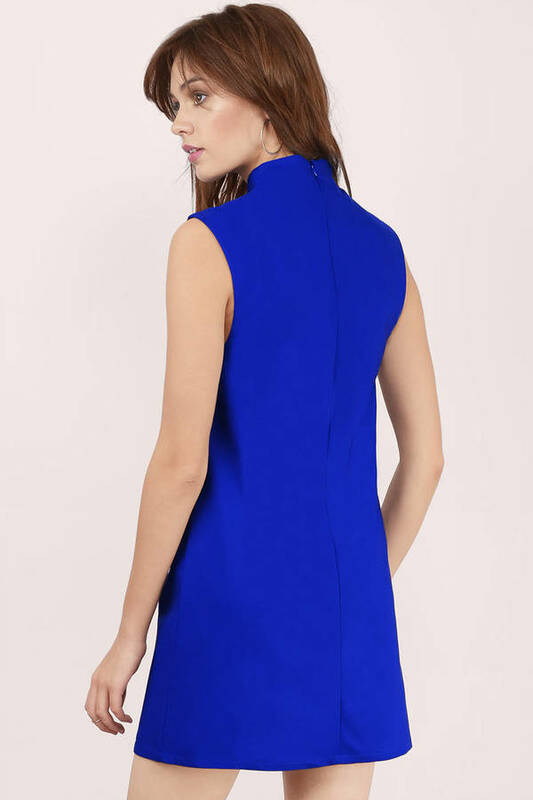 Check out Tobi's Mikaeila Poplin Shift Dress Space out in the Mikaeila Poplin Shift Dress. 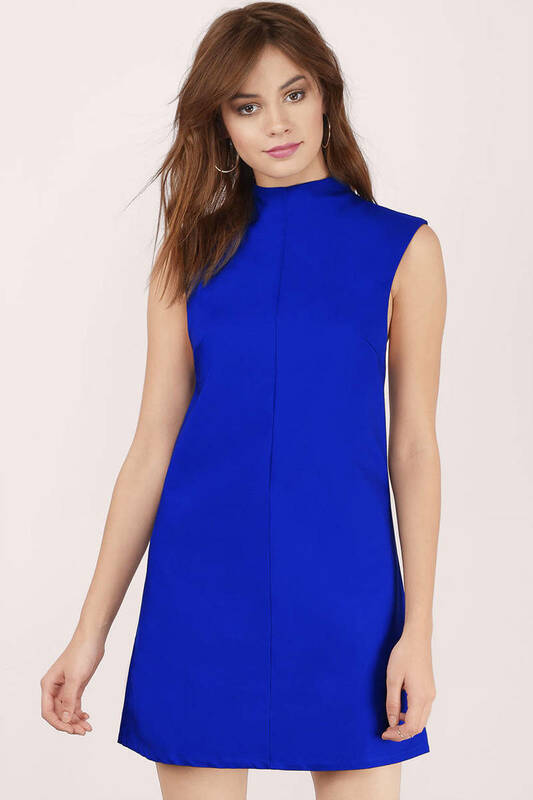 This modern dress features a mock neck and shift body. Go casual in slip-on sneakers for the day and swap for heels at night. Space out in the Mikaeila Poplin Shift Dress. This modern dress features a mock neck and shift body. Go casual in slip-on sneakers for the day and swap for heels at night.